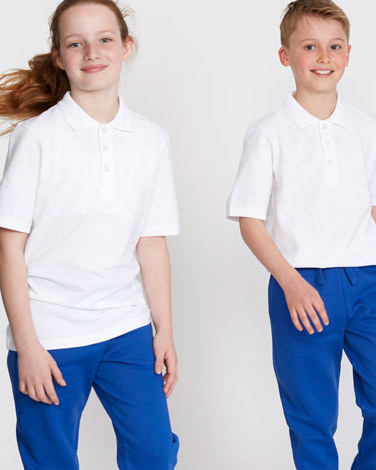 Cut for a regular fit with a knitted collar, these great value kids polo shirts are made in comfortable pure cotton and feature a new improved fit with back neck tape for shape retention. Perfect for keeping boys and girls looking smart throughout the school year, these are also conveniently machine washable. Pack of 2. Free Store Returns: this item can be returned or exchanged within 28 days. Postal Returns: this item can be returned by post within 28 days. Reduced Items: reduced products cannot be returned but may be exchanged in store.